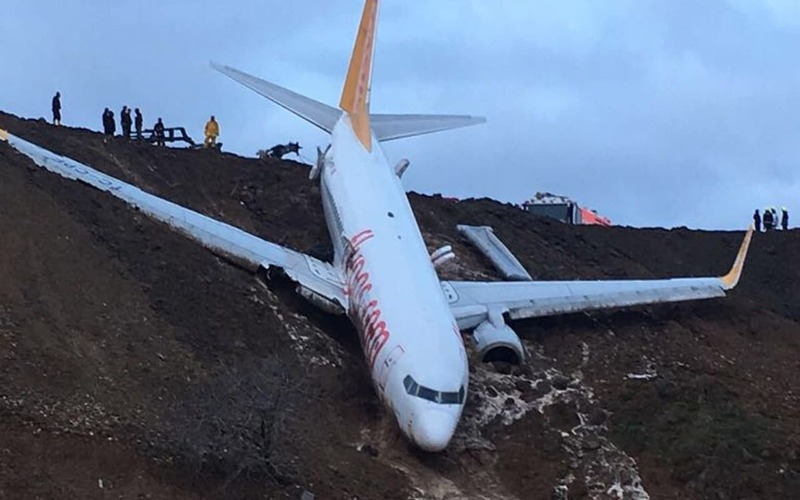 ANKARA, Jan 15: Nearly 170 passengers and crew were rescued Saturday night after a passenger jet skidded off a runway while landing and ended up on the side of a cliff, nearly plunging into the Black Sea, reports say. Investigators are now trying to figure out how the Pegasus Airlines Boeing 737-800 left the runway at the coastal Turkish airport in Trabzon. None of the people on board were injured. But the passengers described a terrifying experience as the plane went down the cliff. “We tilted to the side. The front was down while the plane’s rear was up. There was panic, people shouting, screaming,” a passenger tells Reuters. Reports say the plane’s wheels became stuck in the mud of the cliff, preventing it from going into the sea.